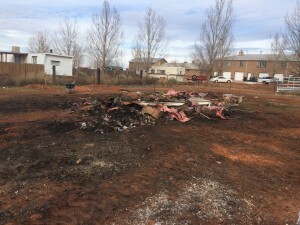 CENTENNIAL PARK, Ariz. — When a Centennial Park, Ariz. family of six lost everything they owned in a house fire just a week before Christmas, community volunteers pitched in to help clean up the wreckage and offer a glimmer of hope in a desperate time. 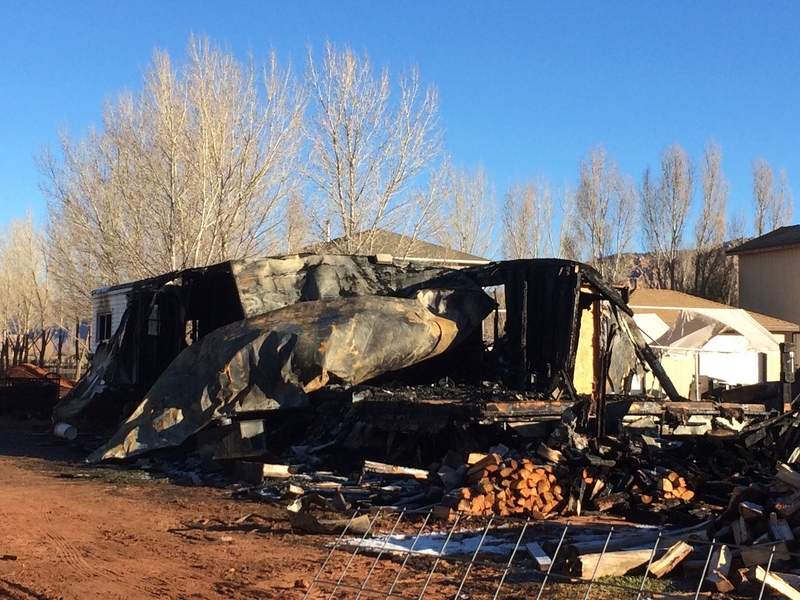 When homeowner Matt Barlow got the call from his brother that their home was ablaze Dec. 18, he said, he and his wife had just sat down to enjoy a meal together during his lunch break from work at Legend Solar in St. George. 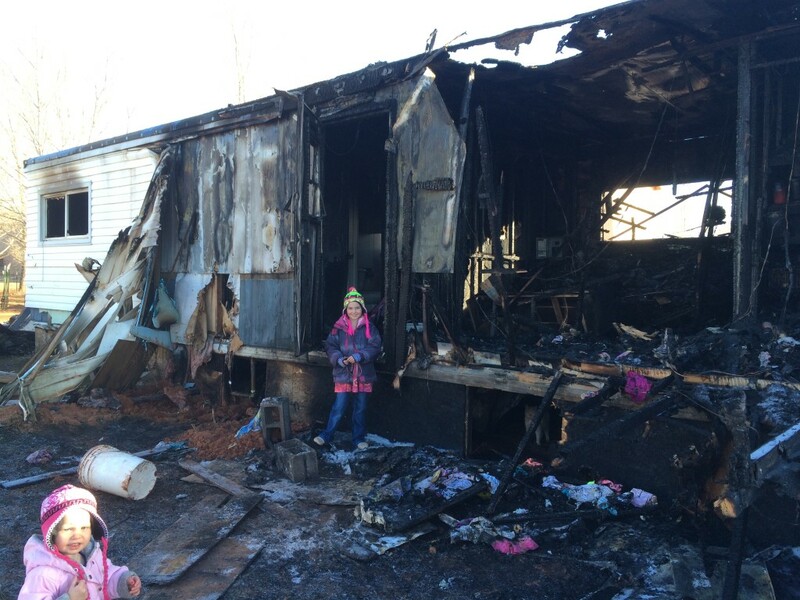 Barlow’s wife had packed up the couple’s four daughters and brought them into town to finish up some last minute Christmas shopping, Barlow said, when they found out their house was on fire. “I don’t know if I had any feeling going on,” Barlow said, adding that he felt numb. “I told my wife and she broke down right there, and I just don’t remember what I was thinking about it — it was just immediately thinking about all the stuff you lose,” he said. 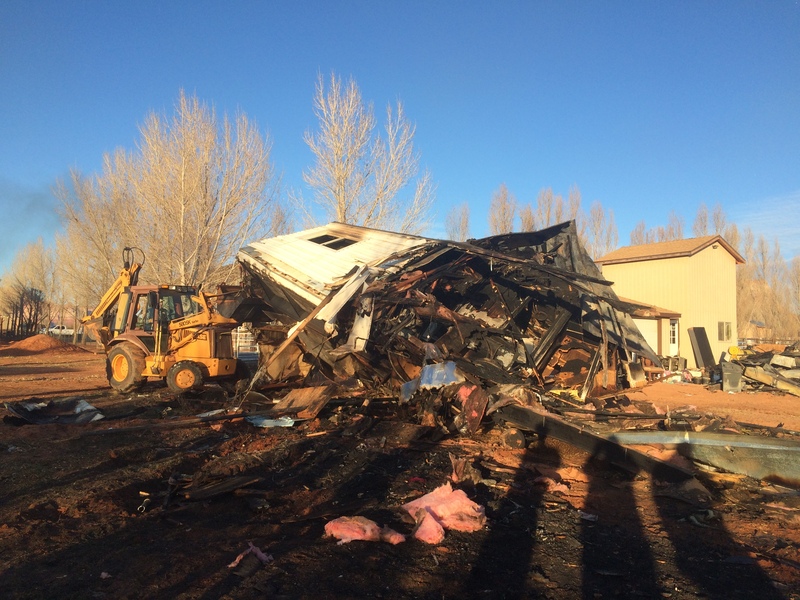 The Barlow’s lost absolutely everything — clothes, photos, keepsakes, toys, dishes, food, personal documents, furniture — all of it, gone in a flash. 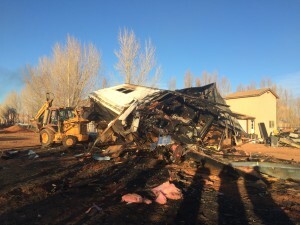 By the time the family made the hour-long trek back to Centennial Park, Barlow said, there was nothing left of their home except rubble and a yard full of firemen and sheriff’s deputies. 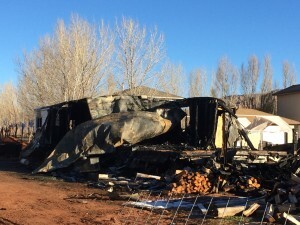 The Barlow’s house was located a bit outside of the city limits, Fire Chief Kevin Barlow said, so the trailer home was pretty much engulfed by the time firefighters arrived on the scene. “There are no fire hydrants within a mile or two,” he said. Using water trucks the firemen would knock down the flames, Kevin Barlow said, but would then have to wait for another load of water. As a result, it took nearly five hours to completely extinguish the blaze. 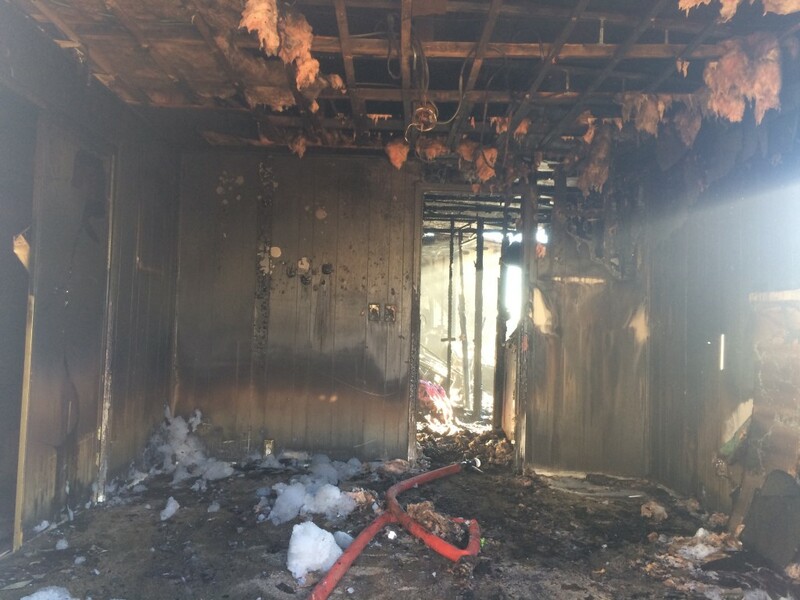 After an investigation, Kevin Barlow said, the cause of the fire is suspected to be a faulty outlet the family’s Christmas tree was plugged into. All of the presents were wrapped and under the tree when the house caught fire, Jennifer Barlow said. Right away the community jumped into action, she said. By the first night all four of their daughters, ages 11, 9, 7 and 2, had new clothes, warm winter jackets, gloves, hats, scarves and shoes. “That first night, before we even left our house they were there with a truck load of stuff,” she said. The next day, 20-30 volunteers met at the Barlow’s property and helped the family clear the disaster, she said. 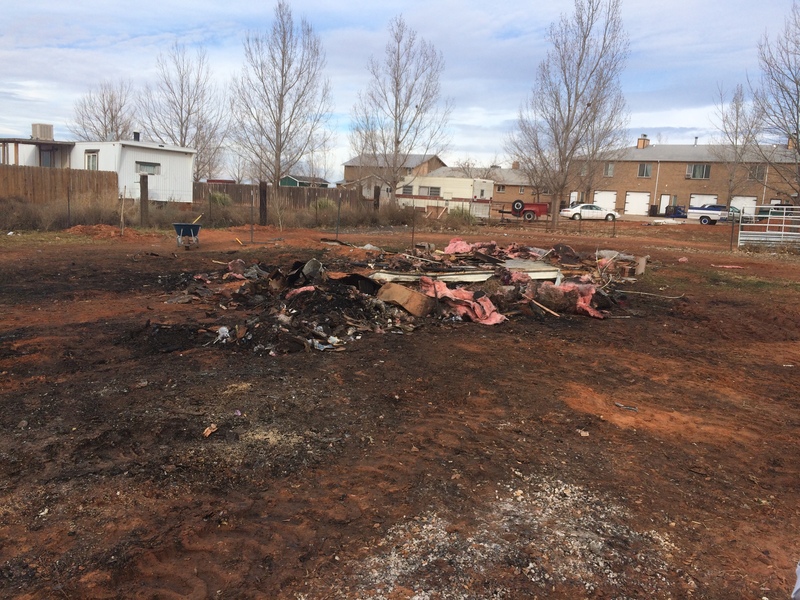 By the end of the first day of cleanup, only a little debris remained, and by the day after Christmas, the lot was completely cleared and ready for rebuilding. The family traveled to Salt Lake City to spend Christmas with Matthew Barlow’s sister, he said, because it was all too much and the family needed to get away for a couple of days to settle their minds. 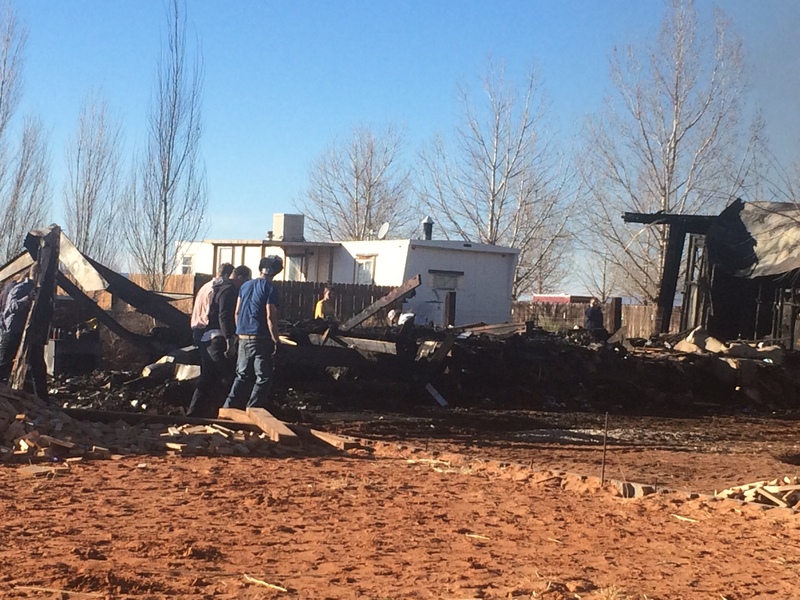 For now, the family is staying with Matthew Barlow’s parents, but because of fundraising and material collecting that began only a day after their house burned down, the couple hopes to begin building soon. A non-profit organization, Cherish Families, has been helping the family find much-needed resources after a knee-replacement surgery left Matthew Barlow unable to work and support his family. For three years Matthew Barlow suffered, he said, until six months ago he was finally able to have a new knee-replacement surgery to correct damage from the first one. 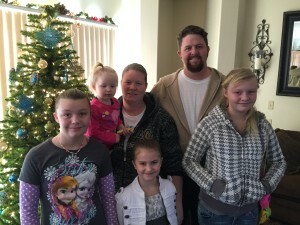 The organization has been spearheading a movement to help with the family’s immediate needs, she said, and anyone who wants to donate cash or in-kind items can give through Cherish Families – the donations will be tax deductible. 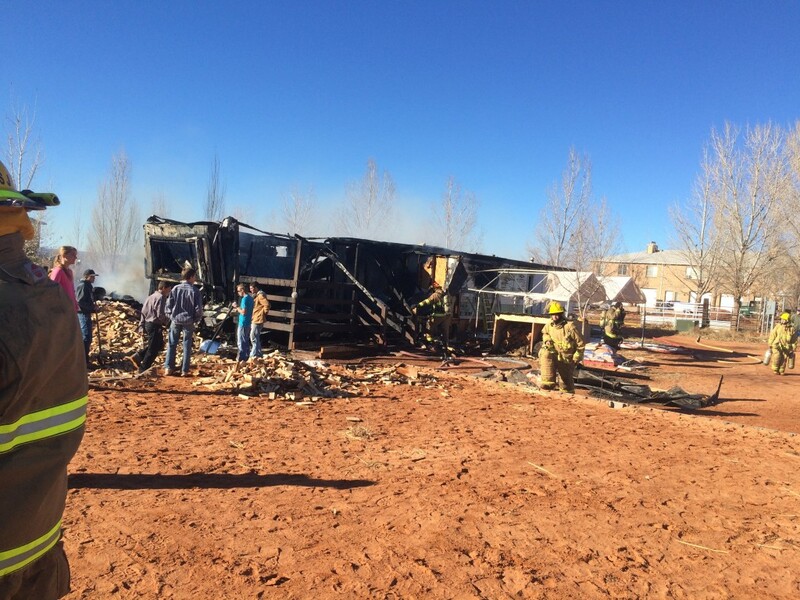 A Matthew Barlow House Fire account has been set up at Mountain America Credit Union, and a Gofundme account is also available for those wanting to help the family.